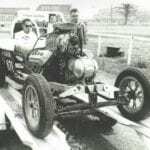 Like many drag racers, Rob Evans introduction to the sport began in his teenage years after attending his first race at the Grand Bend Race Way in 1964 at the age of 12. From the very first moment of seeing the funny cars down the track, he was hooked. In the early 1970s, Evans opened a successful travel business, “Floridian Leisure Homes and Villas,” but Drag racing remained his first love and true passion. 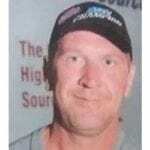 Around the same time, Evans befriended his neighbour and NHRA World Funny Car Champion, Frank Hawley. Hawley had no one to do his public relations, and Evans wanted to help him every chance he could. In 1983, Evans opened his second business, “Rob Evans Motorsports Marketing.” Shortly, after founding this business, Evans was introduced to than NHRA Director of Public Relations, Steve Earwood who mentored him and shared his knowledge on the proper way to promote drivers and NHRA racing. From 1983-1985, Evans continued to help Hawley with his PR as a racer and in 1985, when he decided to open a Drag Racing School in Florida, Evans helped him with that too. With the help of Evans’ promotion, Frank Hawley’s Drag Racing School in Gainesville, Florida, has become the most successful Drag Racing School and has taught over 25,000 students to date. In 1985 to 1987 Evans worked as the Media Relations Director for the Pro Stock Owners Association generating news and interest in the Pro Stock category. He worked with and promoted great names such as, Bob Glidden, Warren Johnson, Butch Leal, Alban Gauthier and Bill (Grumpy) Jenkins, just to name a few. In 1988 Evans became the media relations director for the International Hot Rod Association and later that year, he worked for the Cable Value Network/Sympatico Top Fuel Dragster. Throughout the 1980s and 90s, Evans worked for the NHRA, Castrol Motor Oil and Frank Hawley’s Drag Racing School. Evans PR expertise, drag racing knowledge and association with Frank Hawley, allowed him to also work with drag racing legends and funny car drivers such as John Force, Gary Ormsby and Butch Leal. In 1989, he received an NHRA /Winston Championship Ring for his PR work with Gary Ormsby (who was the 1989 NHRA Winston World Champion). In 1996 through 1998, Evans was the first Drag Racing Governor for the Canadian Motorsports Hall of Fame in Toronto, where he was responsible for the election of Frank Hawley, Dale Armstrong, Graham Light, Bernie Fedderly, Scott Wilson, etc. From 1998 to his retirement in 2004, Evans worked for Frank Hawley’s Drag Racing School in California in a Sales and Marketing capacity. Now retired, Evans still attends various Drag Racing events in California and Las Vegas. Drag racing is in his blood and he has enjoyed following his passion for the past 30+ years.